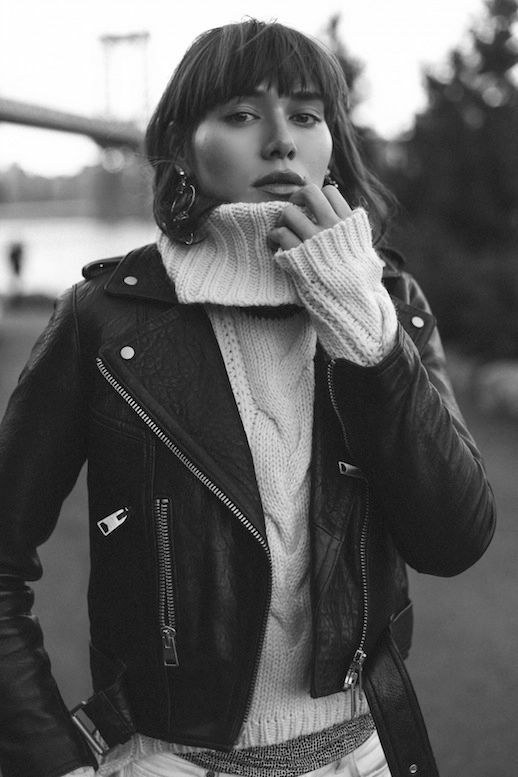 Natalie models a great mix to try for fall and winter that includes two pieces you probably already have in your closet: a chunky turtleneck sweater and a leather moto jacket. The combo is cool and is also guaranteed to keep you warm. Plus, you can wear it with anything from jeans to your favorite skirt.